Some may argue (for good reason) that the collapse of space and time is a commonplace condition of twenty-first century life. From where I sit, however, I wonder: do many experiences symbolize the post-modern blurring of geographies and temporalities as deftly as air travel? I contemplate this admittedly non-unique yet nevertheless miraculous phenomenon—the inhabitation of an ephemeral Neverland between continents and time zones—from a height of 33,000 feet. I am travelling to the archives of the Russian Far East and Japan where I hope to scrutinize nuances in the flows of free and unfree labor of the last two centuries that came to texturize state-making during the current one. As I write, aloft and disconnected from the normal flows of life, I preemptively evoke the type of material I hope to find in the archives: the accounts of those who found themselves caught up in global political and economic currents and affected by the shifting of borders. 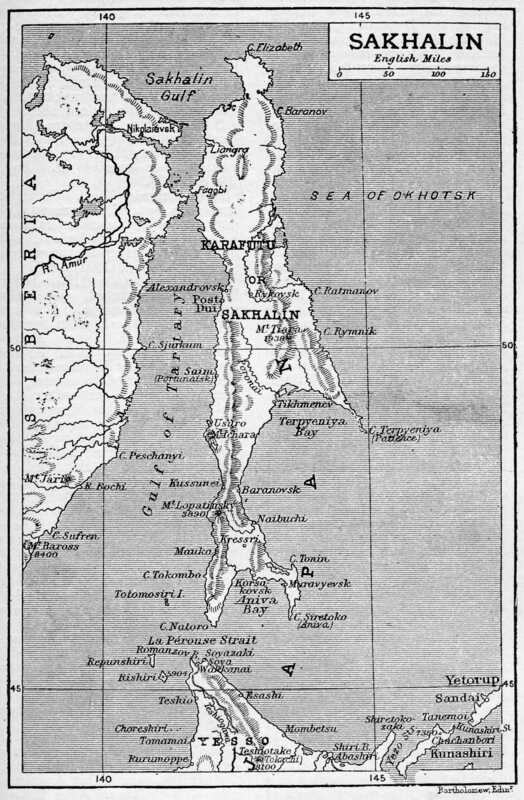 Historian Taisho Nakayama observes that, in the case of Sakhalin, each time the island’s possessor changed, the borders “moved beneath the people’s feet . . . each time they suddenly found that the rules governing their daily lives had completely changed”. The history of Sakhalin’s penal colony and the agency of Russian prisoners, about which I have previously blogged, illustrates the ways in which individuals can be swept into geopolitical currents that carry them to shores that they never contemplated inhabiting. Today I would like to turn my attention, however, to those of Ainu and Korean ethnicity who similarly labored on Sakhalin even as they renegotiated their own identities. Sakhalin’s advantageous location and abundant natural resources have rendered it a contested geographical space for several centuries. China’s claimed sovereignty over Sakhalin was eroded by the 1679 Treaty of Nerchinsk, which was drawn up to define the Russo-Chinese border yet made no mention of Sakhalin, leaving it open to the claims of both Japan and Russia. 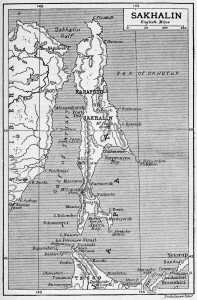 Concurrent with European cartographers’ mapping of the region and increased migration during the 17th and 18th centuries, (cartographer Mamiya Rinzo described it as a place of great ethnic fluidity, in which “many other continentals just came and went on the island as they pleased”), in 1679 migrant laborers created the first Japanese settlement on Sakhalin at Korsakov. Multinational colonization continued as the 1855 Treaty of Shimoda was negotiated, which specified Russia and Japan as the island’s dual colonizers. Then, in 1875, Russia traded the Kurile islands to Japan (under the Treaty of St Petersburg) in return for full possession of Sakhalin. The mutual interest of Russia and Japan in far eastern warm water ports caused tensions to rise early in the twentieth century, resulting in the Russo-Japanese war and Russia ceding the southern part of the island to Japan in 1905. At the close of World War II, in 1945, the entire island became Soviet territory. Much of my research has related to the remarkable agency exhibited by the prisoners of the Russian empire, held on Sakhalin between 1858 and 1905. Other groups, however, joined the ranks of the island’s forced laborers both prior to and after 1905. The Ainu, one of the three main Native groups on the island, were one. One of the earliest Chinese written histories, Wei Yuan’s Military History of the Qing Dynasty, refers to the island as Kuyi, or “the place of the miserable barbarians”, referring to Sakhalin’s indigenous tribes: the Orok, Gilyak (Nivkh under the Soviets), and the Ainu. These early settlers of southern Sakhalin and northern Hokkaido became the slaves of not only the early Japanese settlers, who would sometimes execute those who did not fulfill their quotas of fish caught, but also the Nivkh. The Nivkh, who lived in northern Sakhalin, are often remembered today for the paid labor they rendered to the Russians as deliverers of mail and trackers of escaped convicts. (A live escapee was worth six rubles; a dead one worth three). However, slavery was an important element of Nivkh society, and they took slaves freely from among the neighboring Ainu. Ethnographer Lydia Black notes that possessing slaves enhanced individual status within Nivkh society; the inclusion of slaves in a daughter’s dowry was particularly desirable. The remarkable tracking and hunting skills of the Nivkh enabled them to carry out frequent raids on Ainu villages on Sakhalin into the late nineteenth century. Captives became personal slaves to their owners and, importantly, performed the labor of processing fish to be traded. Although captured Ainu were occasionally permitted to marry among themselves, not until the fifth generation would an individual’s descendants become completely free. 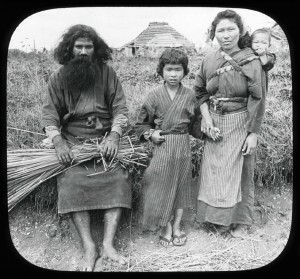 Ainu slaves earned their freedom via an incremental process described by Black: “a slave’s son became free to his eyes, his grandson became free to his neck, in the third generation a slave’s descendants became free to his waist, in the fourth to his knees, and finally, in the fifth, his whole body was set at liberty”. Ainu slaves performed heavy labour such as carrying water and processing the huge catches of salmon that were essential to Nivkh trade. Nivkh raids on the Ainu diminished somewhat during the end of the 19th century as Japanese colonization fueled the need for forced labour. Shternberg, a Russian exile from the colony who studied the Ainu, wrote that the Japanese carried on extensive relations with the tribe, and often forced them to labour in seaweed and fish processing plants, their own fishing rights revoked. 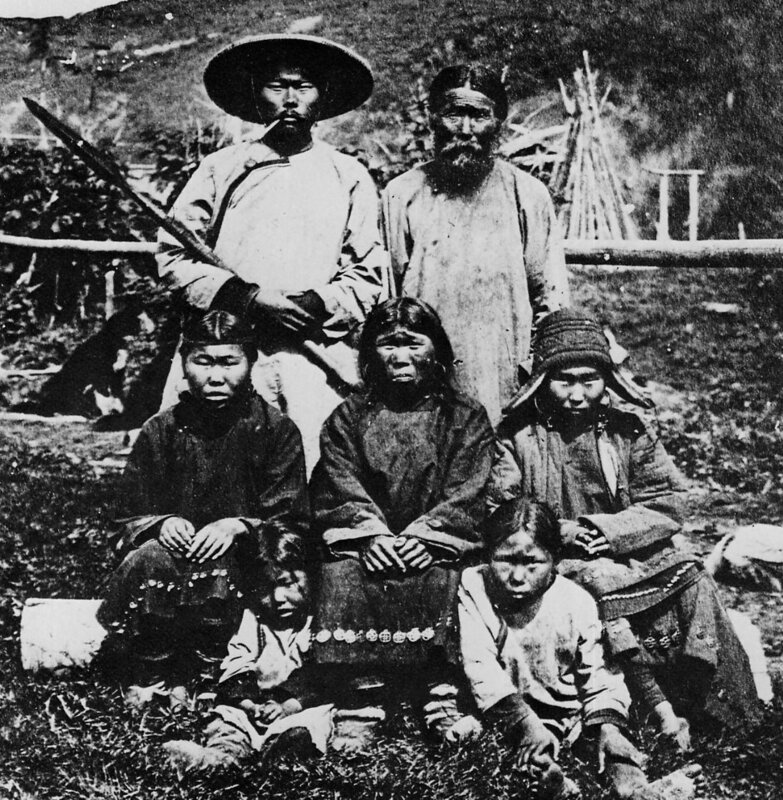 After the Treaty of St. Petersburg in 1875, the Sakhalin Ainu were asked to choose to become either Russian or Japanese. Those who chose Japanese citizenship were forcibly transported to Hokkaido, where they underwent a rigorous program of cultural assimilation. Ainu who stayed behind were forbidden by the Russian government from calling themselves Ainu as it might validate Japanese claims to the land. After Russia lost the southern part of the island in 1905, at the close of the Russo-Japanese War, those Ainu who had opted to remain behind on Sakhalin were once again encouraged to “become Japanese” in order to substantiate claims that Sakhalin was “inherently Japanese”. After 1945, when the island passed to the Soviets, many Sakhalin Ainu were assigned to labour camps in the Gulag as their Ainu names marked them as potentially Japanese; the remaining ones dropped their Native names in favor of Russian ones. Then, in 1979, the designation of “Ainu” was removed as a choice from the list of legal Soviet ethic passport groups, thereby preventing the existence of Ainu in the Soviet Union. In 2008, after more than 100 years of discriminatory policies aimed at forced cultural assimilation, the Japanese government formally recognized the Hokkaido Ainu as an ethnic group. Nevertheless, by that time years of shifting borders and changing policies had resulted in an “[erosion] of the identity and sense of worth of Ainu people [that] caused considerable suffering over several generations. [These] were unknown to the Japanese public who remained ignorant of Ainu cultural values and traditional ways of living, thereby devaluing and relegating them to an invisible status”. Korean immigrants to Sakhalin similarly experienced both relative freedom and the conditions of forced labour, depending on the political needs of the nation in temporary possession. The first Korean laborers migrated voluntarily to the island during the 19th century, most crossing Korea’s northern borders and then the Tartary Strait during the 1870s and 1880s. Typically, male members of a family emigrated first, seeking better farmland and employment opportunities. Once established, they were followed by their relatives. The 1897 Russian census (which is not considered to be a complete record) lists 67 Koreans: 53 who were engaged in fishing, 9 in farming, 1 in tailoring, 1 unoccupied, and 1 under the sentence. After Japan re-acquired southern Sakhalin in 1905, creating Karafuto prefecture, private investment in the island increased dramatically. Karafuto’s 1906 population of 12,000 had increased to 140,000 by 1923 and 414,891 by 1935. Although Korean laborers initially were attracted by jobs in fishing, as Japan’s need for coal increased during World War II mandatory quotas for labour were set, resulting in waves of coerced labour to the area. 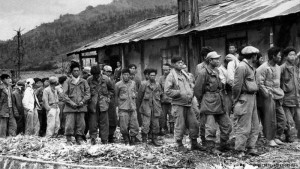 One of those who was forced to emigrate, Mr. Kim Dong-sun, remembers how when sufficient numbers of workers did not volunteer from Korean villages, individuals were forcibly resettled: “We just went because we were ordered to do so. There was no mentioning [even where the destination was], just that we were going to [work for] Japan”. When national borders were again redrawn at the end of World War II, Japanese citizens leaving Sakhalin were replaced by incoming Soviet citizens. 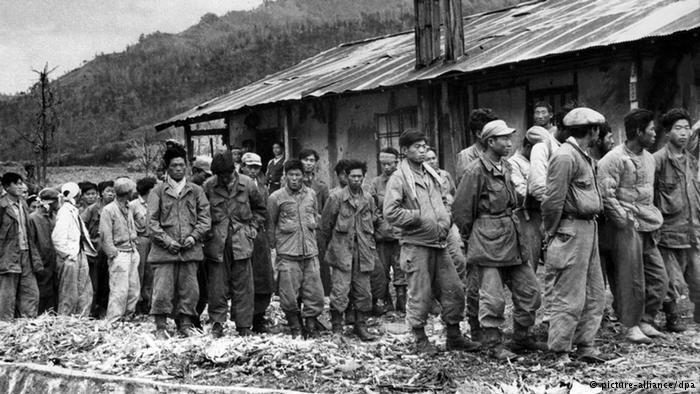 Out of fear that the island’s Korean population might be ethnically similar to the Japanese, and continue to pursue Japanese goals, most were sentenced to hard labor in the Gulag. In 1947 they were forcibly relocated to Central Asia. Brett L. Walker, ‘Mamiya Rinzo: Cartography and Empire.’ Journal of Historical Geography, 33(2007), p. 295, 301. Lydia Black, ‘The Nivkh (Gilyak) of Sakhalin and the Lower Amur’, Arctic Anthropology. 10(1973) p. 1. Ibid, 1. Also see Richard Zgusta’s The Peoples of Northeast Asia Through Time: Precolonial Ethnic and Cultural Processes Along the Coast Between Hokkaido and the Bering Strait. Brill Press, 2015 (online version). Sergei Kan, Lev Shternberg: Anthropologist, Russian Socialist, Jewish Activist Univ. of Nebraska Press, 2009, p. 31. Voices from the Shifting Russo-Japanese Border (electronic). Vincent Okada Mitsuharu, Journal of Indigenous Social Development. University of Hawai‘i at Mānoa (2012)1, p. 1. Choi, Gil-seong, Sakhalin, the Land of Deported and Abandoned People. Minsokwon, 2003. I wrote a story about Ainu woman. Please read it. Thank you! I hope you to know “colourful” culture of Sakhalin Ainu.